Mesh Lacrosse Pinny, Penny, Pinnie, Pennies,Pinnies Reversible Lacrosse Practice Jersey. Reversible Mesh Lacrosse Penny/Pennies. Lacrosse Practice Apparel. 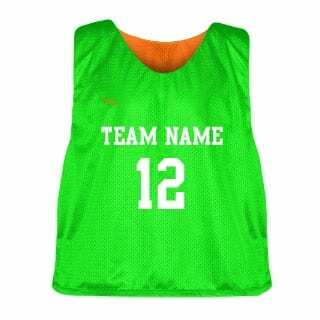 Lacrosse reversible jerseys, lacrosse reversible practice jerseys. This is a collegiate cut pinnie that extends past the shoulder blade. Jersey Mesh reversible lacrosse pinnie. Sizes Available in Youth Small - Youth XL and Adult Small to Adult 5XL. Please contact us for larger sizes and additional price increase. Cut, Sewn and Printed in Maryland USA. Please Click Here for a link to our sizing chart. Pinnies were the talk of the camp. Great Job! !